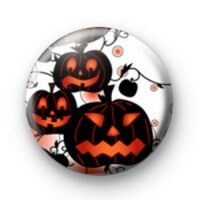 Cute pumpkin badge. button badge 25mm pin badge. October 31st Happy Halloween.